You are here: Home » Rose Floats! Pasadena was in the spotlight yesterday, and didn’t fail to impress. 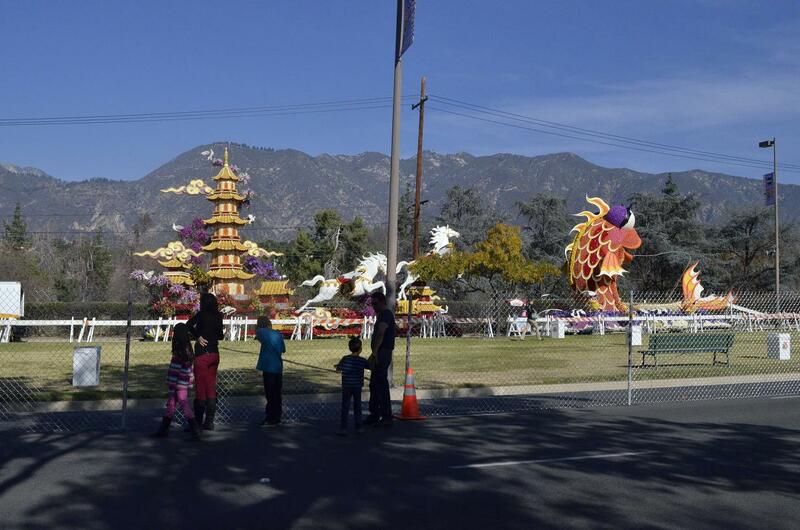 The annual Rose Parade was offered up under clear blue skies and sunshine. Since I don’t have much patience for sitting still through a parade, I chose instead to view the floats directly post-parade. However, I’d have been better off arriving later in the afternoon. While I avoided traffic, I had to stand in the hot sun along with throngs of others, lined up at the entry gate like sardines frying on the griddle, well over an hour for the entrance to be opened. Overcooked as I may have felt, and having forked over the $10 fee, I wasn’t disappointed in the least. The floats were spectacular, beautiful, clever, creative, humorous, colorful… (insert endless other positive, descriptive words here!). I’d last seen them in person over 20 years ago, so this was a really nice treat. Kat was frustrated by her work schedule, but after seeing some of the photos, is determined to not be working, and go in person next year. The advantage to seeing the floats as I did, is an up-close appreciation for the overwhelming amount of work they require before presentation. For example, placing thousands upon thousands of red kidney beans in neat little rows to create the sides of this vintage vehicle… can you even imagine?! Be sure to click on each gallery to view the photos! Well worth the effort of a little elbowing.